Here you will find details of all my partners, who play a crucial role in my sporting career and my horses’ performances. Clicking on the logos will take you directly to their websites. On the Haras de Hus website, you will find their horses for sale as well as the available stallions, the different services offered and the latest news about this modern stud! You can also download a breeding contract after you have read the stallions’ descriptive sheet! The new Pikeur collections appear on their website twice a year! You will also find the “Basics” collection catalogue, available all year round. You can now order the items you have been dreaming of! If you wish to buy Pikeur products, you can place an order on their website or ask the Kineton saddlery (on site or have your online order shipped) or your usual saddlery. The new Eskadron collections appear on their website at least twice a year! You can browse the different Eskadron collections, as well as the “basics” collection, available all year round! The sublime Platinum collection is also released once a year! Don’t miss out! If you wish to buy Eskadron products, you can place an order on their website or ask the Kineton saddlery (on site or have your online order shipped) or your usual saddlery. You will find the complete range of Passier saddles as well as all their leather fabrics on their website! The brand has been around for decades and is globally renowned. If you wish to buy Passier products, you can ask the Kineton saddlery (on site or have your online order shipped). “I met Pascale and Jean Luc, the owners of the Kineton saddlery, during a competition. Both of them are highly competent, incredibly kind and really determined when it comes to finding what you are searching for or saw on a horse at a show but don’t know where to find! They will be able to find what you need! The saddlery is also the representative of the Passier brand in France, and you will be able to order your Passier saddle with technical advice from the experts. Discover the different horse truck models designed by Carrosserie Paillardfor the transportation of your horses on their website! You will also find several second-hand models for sale. “Carrosserie Paillard’s trucks are designed to ensure the highest levels of security and comfort for both horses and riders. The team is able to fully adapt to your specific requirements in order to design the truck that you have been waiting for and dreaming of! You will find Ecolit’s full range of bedding and fodder on their website, where you can order the products you need. “Just before the World Equestrian Games in Caen, I faced a big problem with Riwera de Hus coughing. That’s when I started asking myself the right questions about the quality of the environment of all my horses! I turned to Ecolit, who recommended a shavings bedding where the dust has been removed, of stable and controlled quality: CLEANBOX, which is also comfortable for the horses. I tested it, even took it with me to the World Equestrian Games and no longer want to change when I see my horses feeling so well! Please visit the Ecolit website for further information and ordering. Find the different products of the Equistrorange on their website. Contact your vet to order products from the Equistro range or find them online. 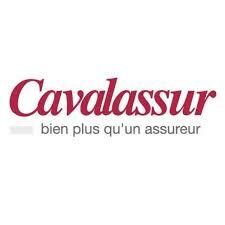 Browse through the different insurance packages Cavalassur has to offer, and you’re bound to find one that will suit your needs! You can visit their website, but more importantly call them to talk through your project.